Tombow Olno makes "body knock" mechanism affordable. With "body knock", you press the middle part of the pencil body, the pencil bends and the lead is extended. So when you write, you don't have to move your pencil or your hand to extend the lead. Just your thumb. 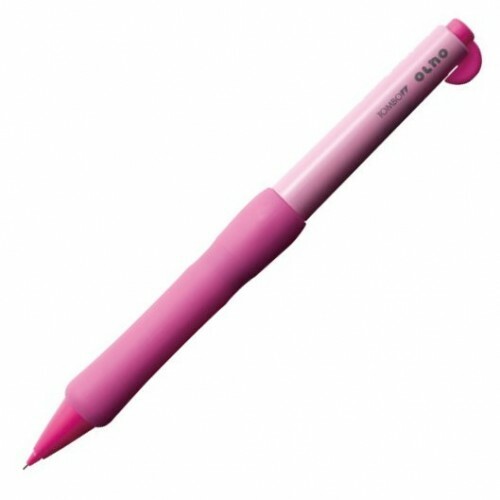 This mechanism requires high precision, and has been available only with expensive metal-body pencils. Until now. 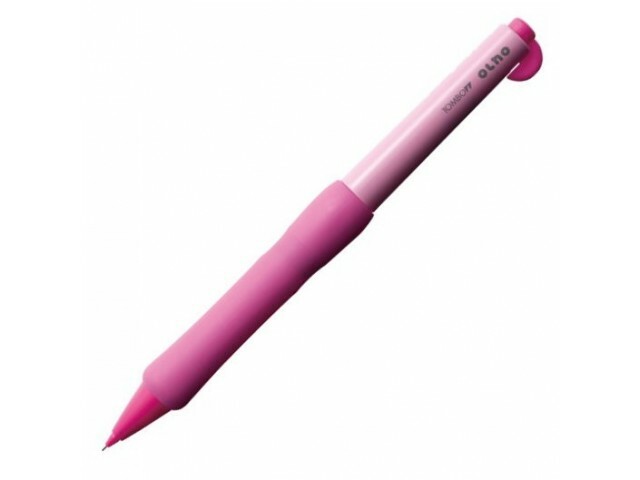 Tombow Olno has a plastic body and comes in 8 delicious colors. In addition to the cool "body knock", you can also extend the lead the traditional way, by pressing the top button.